Newspaper Rock: Twin Cities: Dakota War = "genocide"
By Kevin DuchschereSt. Paul joined Minneapolis on Wednesday in labeling the 1862 U.S.-Dakota War as the start of "the genocide of the Dakota people" that included holding them after the war "in a concentration camp at the base of Fort Snelling." The terms, disputed by many historians who believe they don't convey the complexity of the conflict, were included in a resolution that the St. Paul City Council passed unanimously to declare 2013 "the Year of the Dakota" and to show its support for an effort to identify Dakota sites along the Mississippi River. The St. Paul resolution was patterned on a similar one passed last month by the Minneapolis City Council that pledged more dialogue on issues of "land, reparations and restitution, treaties, genocide, suppression of American Indian spirituality and ceremonies, suppression of indigenous languages, bounties, concentration camps, forced marches, mass executions and forcible removals." By Chris Mato NunpaOn Friday, December 14, 2012, the Minneapolis City Council passed a resolution titled “The Year of the Dakota: Remembering, Honoring and Truth-Telling,” which year began on December 26, 2012 through December 26, 2013. The Resolution contained such terms and phrases as: “Genocide” “Bounties” “Concentration Camps” “Forced Marches” “Mass Hangings” “Forcible Removals” etc. In my 72 “winters,” I had never seen a white governmental entity at any level–federal, state, or local–use such Truth-Telling terms in one of their official documents. 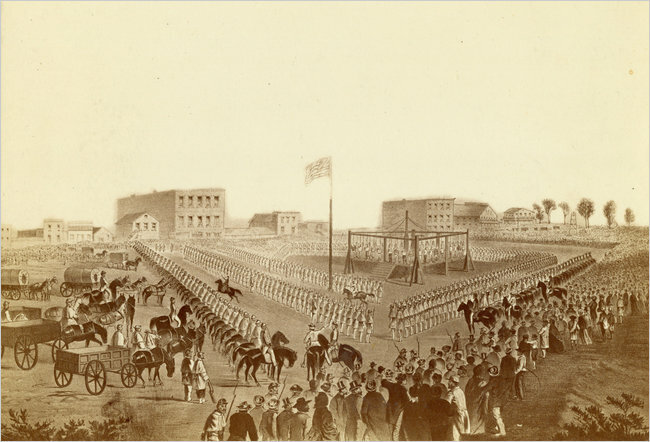 This wonderful break-through event, the passing of the Resolution by the Minneapolis City Council, occurred as the Dakota People of Minnesota, along with their allies and supporters, are commemorating the 150th anniversary of the Dakota-U.S. War of 1862. We say “Dakota-U.S. War of 1862” because it was the Dakota who declared war on the Wasicu (the Dakota word for the white man). The Dakota wished to drive the invaders and the land-stealers out of the Minnesota River valley. This decision by our Dakota leaders to declare war turned out to be disastrous. One, of the things I have learned about this history, is that it is suppressed by the white academic establishment. The Genocide of the Dakota People of Minnesota and of the Indigenous Peoples of the U.S. is “hidden.” The U.S. Euro-Americans did not, and do not, wish to talk about this disgraceful and shameful history. I began to learn this in first grade, 1947-1948, in the Granite Falls, Minnesota public schools, although I, then, was not able to articulate this new learning. The white teachers said many things that were defamatory about the Dakota. The teachers said things that dehumanized us. They said disparaging things, like we didn’t make any real contributions to the development of Minnesota or of the U.S. They obliterated our history, teaching us that history only began when they came.Comment: Yes, calling the war "genocide" doesn't convey the complexity of the conflict. It arguably applies to the US approach as a whole, not to individual wars, massacres, and removals. People in the midst of battle usually want to end the fighting, not end the opponents' existence. But the words we usually use--e.g., "conflict," "tragedy," "horror"--serve a different purpose. They obscure the depth of the US depravity and disregard for human life. I'd rather emphasize the scope of the problem than gloss it over. Americans as a whole know too little about our history, not too much. For more on the US-Dakota War, see Mankato Memorial Says "Forgive Everything" and Mankato 38 Art Exhibit. For more on genocide, see America's Culture Based on Violence and Hitler Loved Manifest Destiny. "the start of "the genocide of the Dakota people"
Odd thing to say. It started well before the 1862. At least back to 1851, when the Dakota were forced off of much of their land. I suppose it depends on how you define "genocide." Some people might say an action is genocidal only if it results in a large number of deaths.